My friend Bindu forced me to watch Evil dead with him tonight. I tried to ignore but he was so adamant to see this horror movie. He is not much strong but still he wants to try once. I agreed at last and we were in theatre at 7.30. I started to hate the bgm and movie right from the beginning. 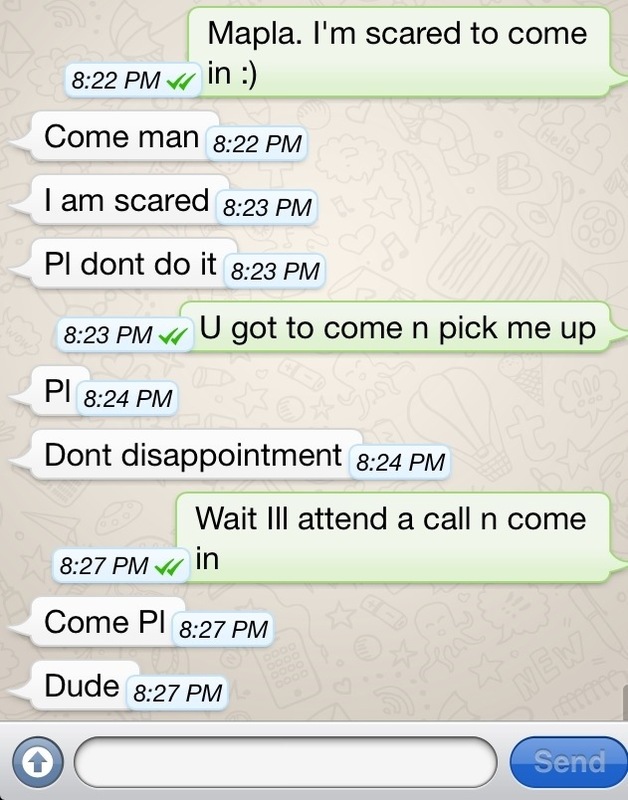 After a while I couldn’t sustain so I bugged my friend to go out, while he begged me not to leave him alone as he is scared as hell too. I ran out to the rest room and took a break. When I’m done, I pinged Bindu that I can’t come in. Finally, I behaved like a man and decide d to go back for my friend. I was ok and felt quite confident until the next horror scene showed up. I felt insecure again so dropped a message to my other group of friends. I wished that all the characters in the movie die soon. When it’s over, we had dinner and he dropped me. I’m home now, on my bed, blogging from my phone with the tv and lights turned on. I wish I had a girlfriend to spend sometime now. Huh, let me call my mom and get some positive vibes. There is nothing manly in watching horror movies.It is just a matter of choice, some like them some don’t. I hope you are fine. 🙂 You are too brave.